With a large chunk of the global workforce migrating to foreign countries in search of lucrative career opportunities or better living; the World Bank estimates that migrants will send up to US$636 billion home in 2017, with three-quarters of that being remitted to developing countries. 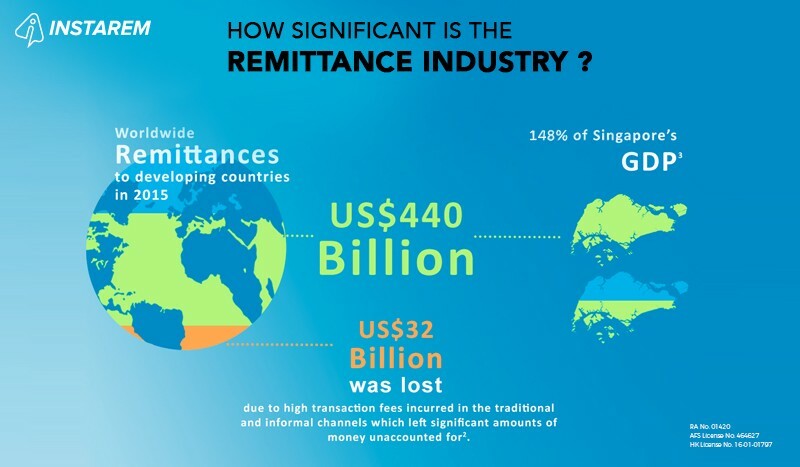 In 2015, US$440 billion in remittances was sent back to developing countries, but US$32 billion was lost due to high transaction fees incurred during the process, and much more went unaccounted due to informal channels! Sounds complicated? Fret not! Let us demystify the Cross-Border Payments Ecosystem for you. The cross-border remittances market is dominated by players like banks and money transfer operators. Traditional ways of transferring money overseas are expensive due to high transfer charges along with hidden fees which are not known to clients. While different in their approaches, the traditional remittance services providers have their own strengths and weaknesses. BANKS: Though banks do not specialise in remittances, they are an essential part of the remittance industry, as they provide the infrastructure that enables money transfers. Major banks are also licensed, trustworthy, and can provide users with other monetary services such as a bank account. MONEY TRANSFER OPERATORS (MTOs): More specialised than banks, MTOs provide remittance services that are simpler and faster than banks. MTOs typically have the advantage of speaking the local language, and can provide instant cash, unlike banks which can take days to process. (Source: MasterCard Report, 2011). According to the World Bank, sending remittances costs an average of 7.32% of the amount sent. Fintech-based start-ups like InstaReM are disrupting traditional methods of money transfers by removing the FX spread and other hidden fees that are common with traditional remittance players. With its automated platform and strong relationship with banks, InstaReM is able to offer transparent international money transfers at a fraction of a cost, compared to the traditional players. Unlike banks, InstaReM does not require users to physically authenticate their identity, thanks to the implementation of eKYC (Electronic Know Your Customer). This ensures a fast and cost-efficient remitting process. Here’s an infographic that breaks down the process of cross-border remittances for you. Demystifying The Cross-Border Remittances Ecosystem was originally published in InstaReM on Medium, where people are continuing the conversation by highlighting and responding to this story.